Putting customer’s interests first, offering sound, impartial technical advice on building and environmental issues, good product knowledge we can supply a cost effective range of thermal, acoustic and fire protection insulation products to the construction industry throughout the UK whilst meeting current regulations. 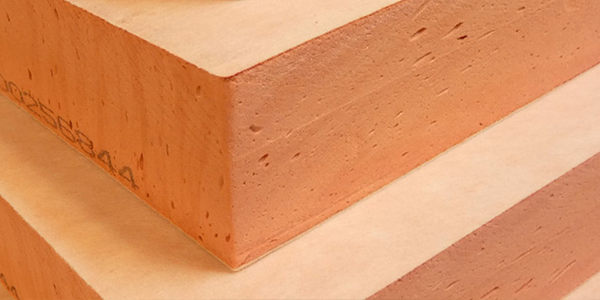 Products from all major manufacturers covering thermal, acoustic and fire insulation requirements for walls, lofts, roofs, floors and civil engineering applications and including a full range of accessories. 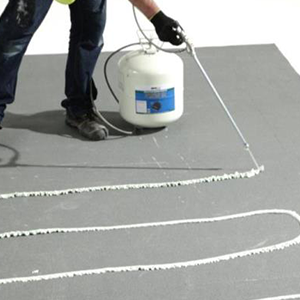 Thermal, acoustic and fire protection insulation products from all major manufacturers for warm and inverted roofing, and civil engineering applications including a full range of accessories to meet current regulations. 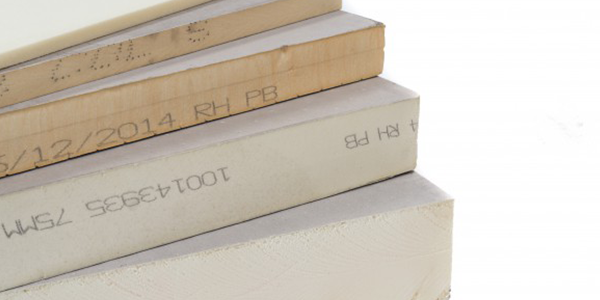 For more information on the Insulation products that we have in stock or for any other enquires, please contact us today on 01405 780444. 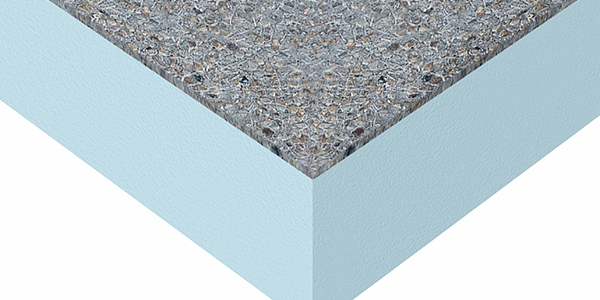 Tapered insulation schemes are designed to provide an adequate slope to remove water and reduce ponding, whilst satisfying current thermal regulations. 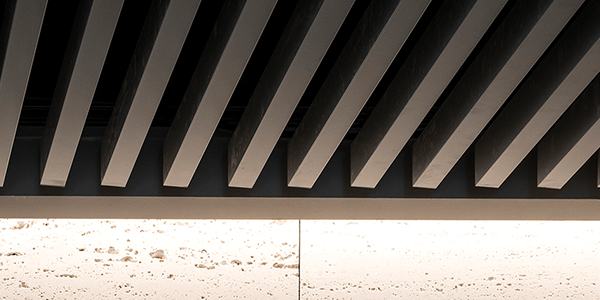 Structures are lighter and eliminate the weight and slow drying associated with sand and cement screeds, are quicker and easier and less costly to install. Available in most types of insulation or Hybrid systems. 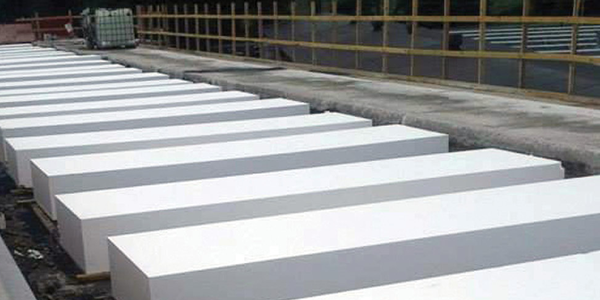 Expanded polystyrene is easy to handle and cut, rot proof, long term durability uniform thickness or cut to falls systems, square or tongued and grooved edge detail. Available in various grades including high density with factory bonded facings for use with bitumen, single ply, mastic asphalt and liquid waterproofing, for use on flat and pitched roofs, walls and floors applications. 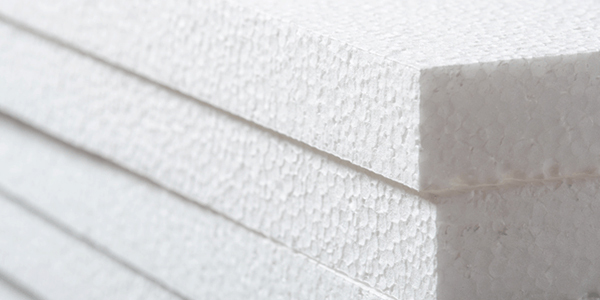 With reduced water absorption properties that are required in inverted roofs, Modified expanded polystyrene is produced with increased performance and higher stability it is a cost effective easy to use insulation for inverted roofing. Cellular glassis impermeable to water and water vapour, non-combustible and will not burn or give of toxic fumes, has high compressive strength, is dimensionally stable, insect, vermin and acid resistant to attack by birds and vermin and environmentally friendly, will not support the growth of mould, fungi or micro-organisms. 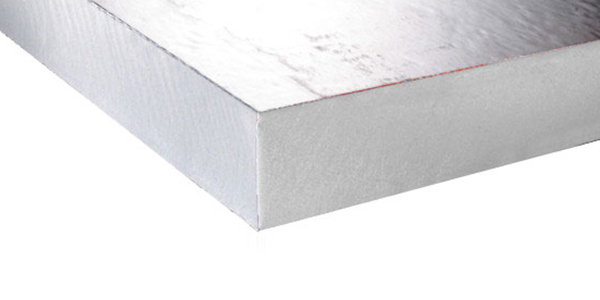 Compatible with both steel and concrete it is suitable for use in flat, standing seam and green roofs systems, car park decks, interior, exterior or cavity walls flat board or cut to falls and remains effective in the most demanding situations to ensure lifetime performance. 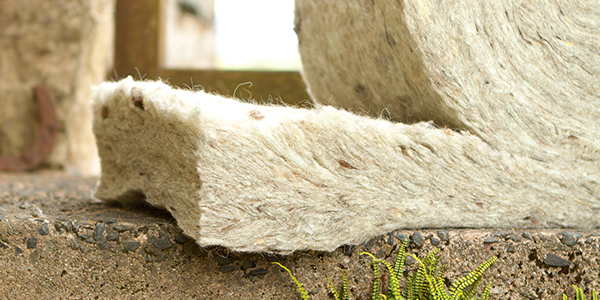 Hemp is environmentally sustainable, non-toxic, non-irritant responsible alternative to conventional insulation, offering comparable thermal and acoustic performance for use in loft spaces, between rafters and within walls and floors, but are unsuitable for cavity wall insulation, or under ground floor slabs. 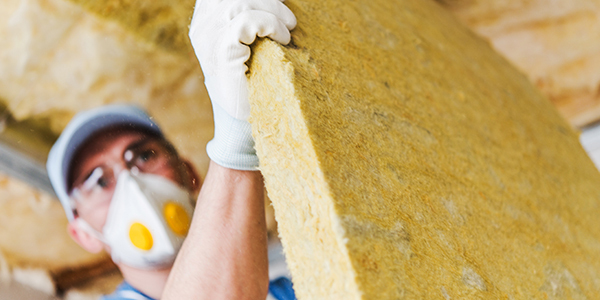 They have good thermal and acoustic insulation properties and excellent for to create a naturally efficient thermal and acoustic insulation solution that helps to keep the building cosy and warm in winter and cool in summer. Glass mineral wool has excellent thermal properties is perfect for reducing noise pollution, will not support combustion even in direct with flames, can be compressed for easy transport, easy to use, reverts to its original volume after months under compression and is one of the most environmentally friendly, stable and sustainable insulations available, is recyclable for use in walls, floors and roof spaces of buildings. Various types of facings are factory bonded onto the slabs to one side to control the surface absorption of bitumen allowing it to be used for flat roofing. It is available in flat and cut to falls systems. Fully compatible with most waterproofing systems, resistant to the passage of water vapour, easy to handle and install, can be fully or partially bonded or mechanically fixed, CFC/HCFC high performance rigid urethane insulation provides cost effective environmentally friendly insulation for bitumen, mastic asphalt, liquid waterproofing and single ply systems and is ideal for new build or refurbishment. 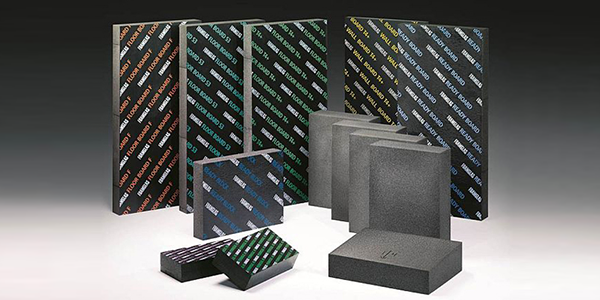 Phenolic has low flame spread, increased fire performance, negligible smoke and toxic gas emission, can be 50% more thermally efficient than other insulants, low thermal conductivity which allows for reduced insulation thicknesses. 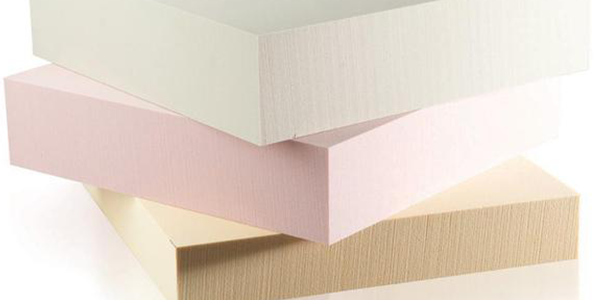 High density Phenolic foam is lightweight but strong, is moisture resistant and significant CO2 savings can be achieved compared to other insulation materials. 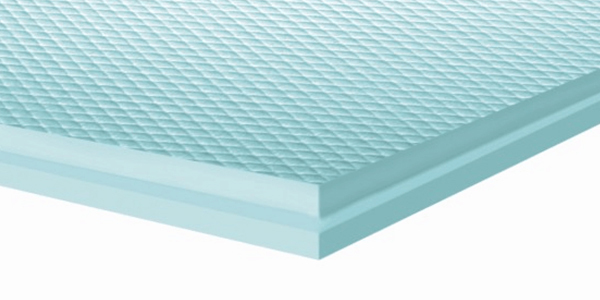 Consisting of two layers of air bubble polyethylene, wedge-welded 15mm wide, covered with a film of low emission aluminium on both sides that blocks up to 97% of the radiant heat transfer and prevents heat gain in summer and heat loss in winter, Alum-Tech is an ideal insulation for flat and pitch roofs. 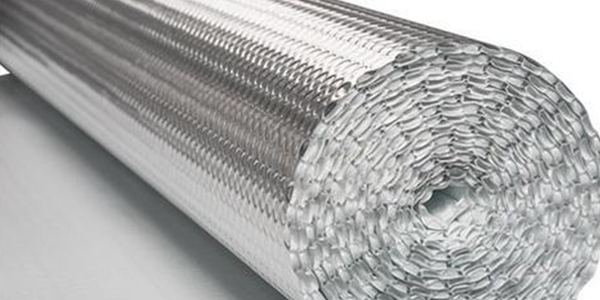 In addition the aluminium foil creates an effective barrier against moisture and air flow, is light and easy to handle, can be laid quickly and permanently reduces your energy bills. 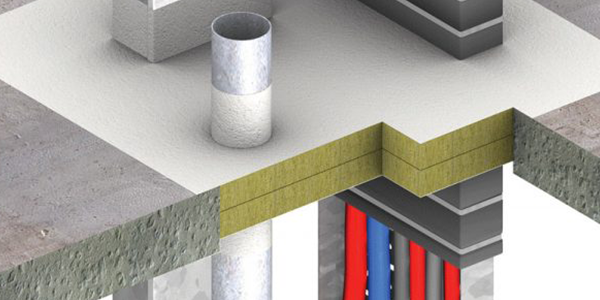 Linear Fire stops are manufactured from non-combustible mineral wool and are designed to prevent the passage of fire at the point where masonry walls meet concrete soffits and profiled metal decking or as an expansion joint in masonry walls. Supplied 1200mm long and factory cut to suit the aperture to be filled Linear Fire stop strips and blocks comply with current regulations. 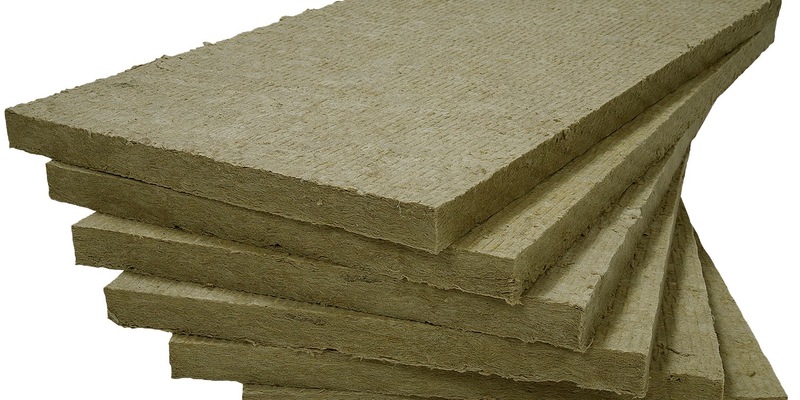 Acoustic Infill consist of trapezoidal shaped mineral wool factory cut to fit the profile of a roof decking in order to significantly improve the sound absorption. Available plain or can be faced on all four sides with glass tissue to improve aesthetic appearance and reduce the potential for fibre migration. 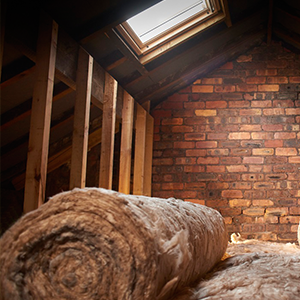 Mineral wool loft roll is lightweight non-combustible glass mineral wool product for use as acoustic insulation in lofts, partition walls and timber floors, that is flexible and easy to handle and install. The roll is 1140mm wide and partially perforated to produce either 2 rolls 570mm wide or 3 rolls 380mm wide.